However, a more important reason why I love Tom’s is because they have huge heart, and they are committed to making a real difference in the world. 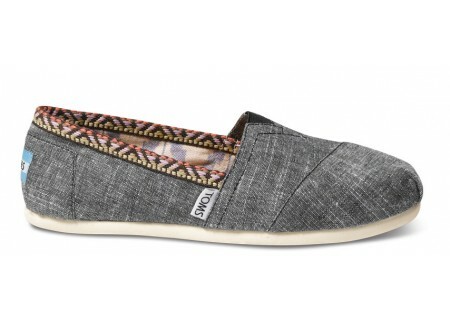 Whenever you purchase a pair of Tom’s shoe, the company donates a pair to a child in a developing country. 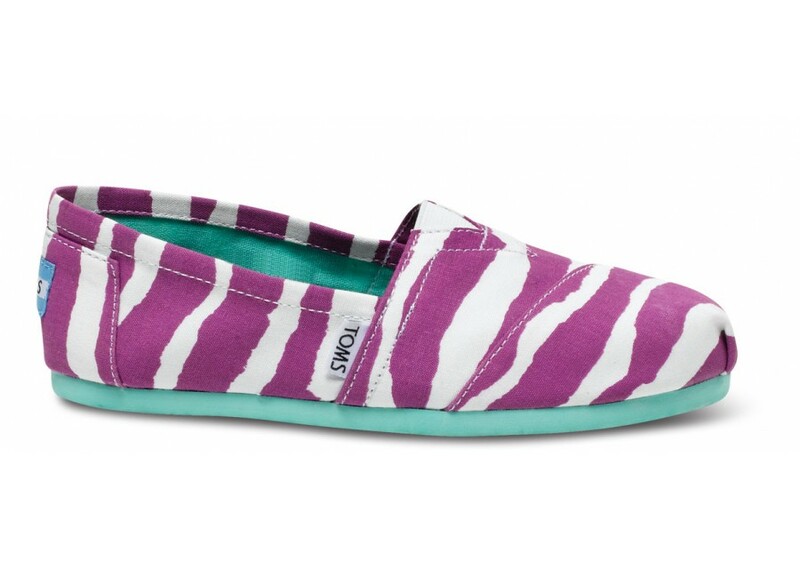 So, I wanted to spread the word about this great company I love and highlight some of their new flats for Spring! I love Tom’s new Gray Chambray Trim flat because it has just a hint of the Southwest style that has everyone (including myself) swooning right now. I lovelovelove Tom’s Essien Classic flat. It’s vibrant, stylish, and would perfect with a pair of skinny jeans and a simple white top. So, how would you possibly pick between these two? Turquoise, or purple? I admit I’m lusting after both pairs, and it’s amazing that they’re made with zero animal ingredients…even the glues are vegan! I really don’t know how I’d choose.